Athlete Movement’s fully stocked Coffee & Smoothie Lounge is the perfect place to prepare for a workout or relax after a hard session. Because we believe the social side of gym life is as important as the physical side, we’ve created a place for members to hangout and chat, even when it’s a rest day. You will find the usual range of Coffees on offer for excellent value and a wide range of nutritious, protein smoothies designed to help your body recover and fuel itself effectively. We also stock Grenade Carb Killa Bars, Nocco BCAA Energy Drinks, Monster Energy Drinks, Bottled Water and Kettlebell Kitchen freshly prepared meals. 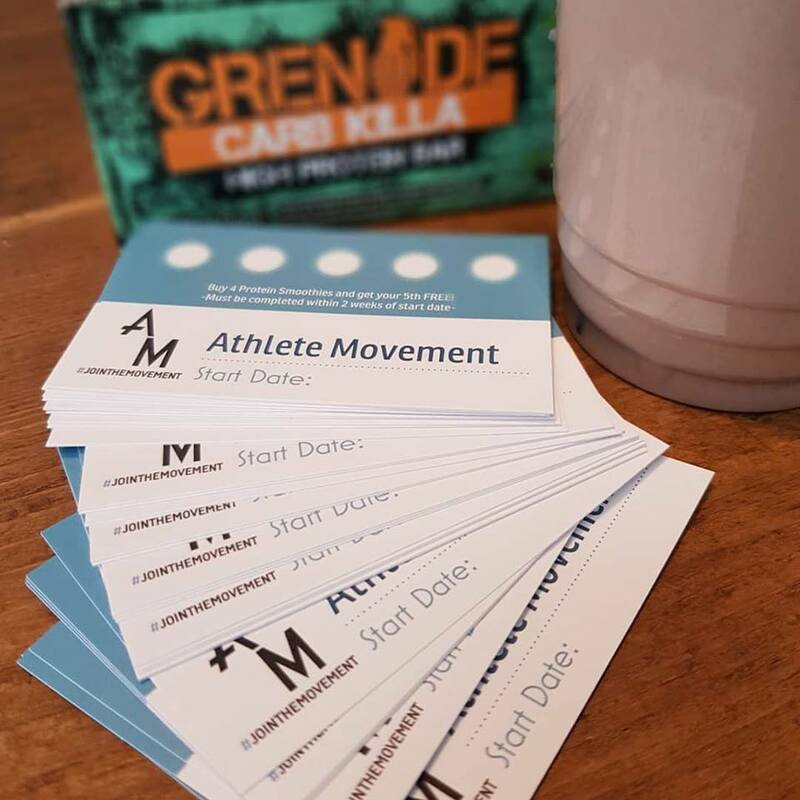 Regular visitors can enjoy our loyalty card rewarding you with a free Protein Smoothie for every four you purchase.